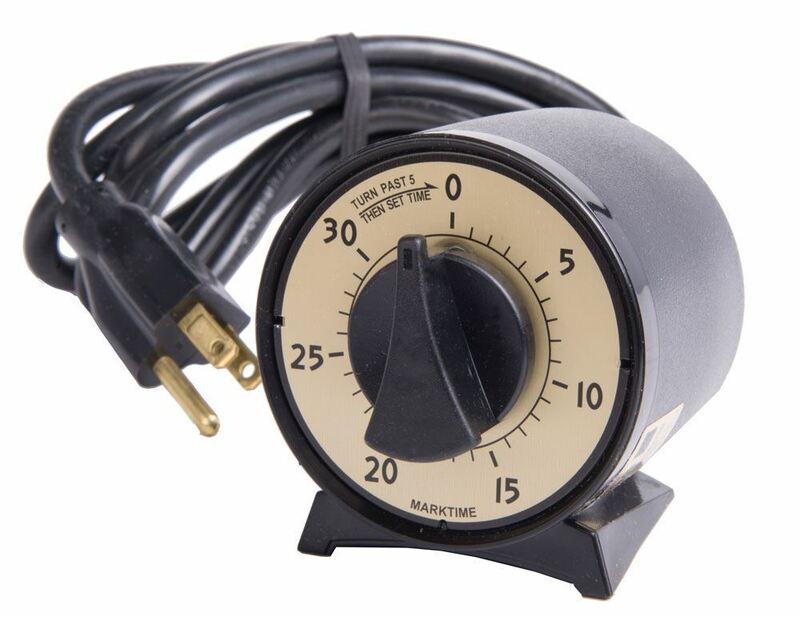 Mechanical Timers - Gilson Co.
TSA-190 30 Minute Mechanical Timer is an easy to operate spring-wound timer with a 30-minute range at one-minute increments. The timed device plugs into the back of the timer, and the dial is set to the timing interval. Power cuts off and the device stops timing when the dial returns to 0. The timer is housed in a black plastic case and features a satin chrome face with black numerals and easy-to-set indicator dial. 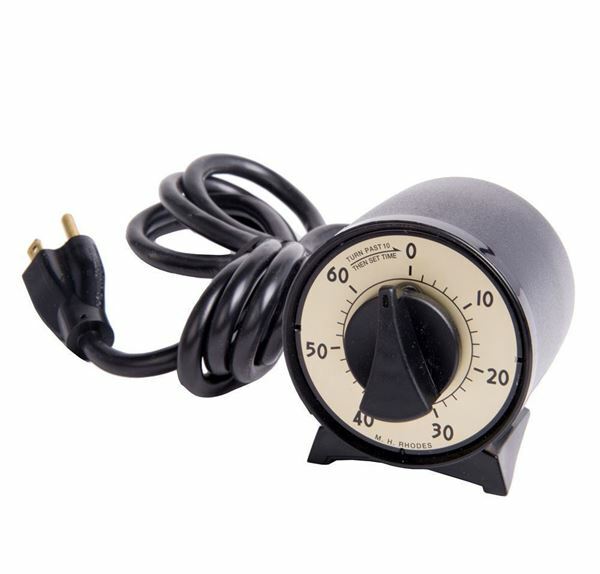 The timer is grounded for single-phase 115V/60Hz operation, and is rated to control up to 10 amps at 125VAC. TSA-191 60 Minute Mechanical Timer has all the same features and functionalities, with a 60 minute timing capability.